With more than 7000 Islands the Caribbean can be a great destination for all types of tourists. It is really hard to tell which one is the best as the all Caribbean Islands are beautiful and offer plenty of things for its visitors. But not all Islands offer same type of attractions for you. Here the list of 10 most beautiful Caribbean Islands. U.S Virgin islands are a territory of the United States located in the Caribbean. It consist of three main islands and many smaller islands. No passport is required for the U.S citizens to visit this paradise in the Caribbean as it is an U.S territory. Throughout the year U.S Virgin Islands boast a fantastic, warm climate. The average temperature ranges between 22 and 25 degree Celsius. St. Thomas, St. John and St. Croix are the three main islands of U.S Virgin Islands. Each of these islands has distinct character and attractions. But pristine beaches are one thing that all these three islands have in common. Thankfully, all beaches in U.S Virgin islands are open to public. The white sands and crystal clear waters of these beaches will leave you breathless. World class snorkeling, diving, spectacular sunsets and deep sea fishing are the other things awaits you in the beaches of U.S Virgin Islands. At 209 square kilometers of area, the St. Croix is the largest of U.S Virgin Islands. It is an island with a history of great interest and stunning architecture. 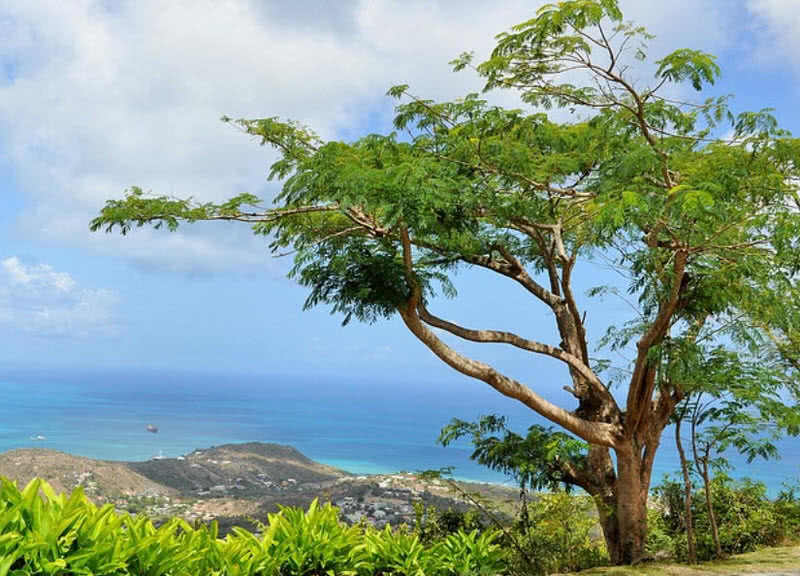 In addition to great historical sites, St. Croix is also known for its natural beauty. The second Island, St. Thomas is one of best Caribbean spots to enjoy sightseeing, snorkeling, diving and shopping. 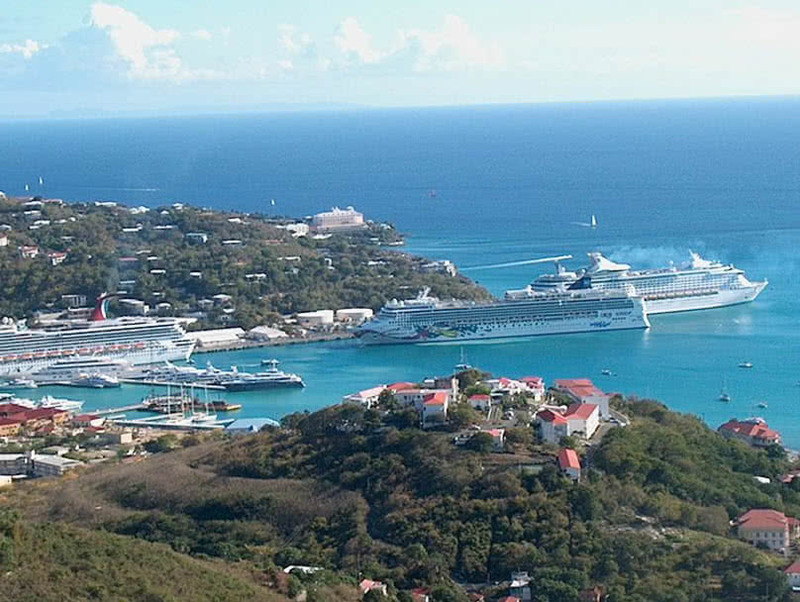 The cruise port in the Charlotte Amelie, the capital city of St. Thomas is probably the most popular and busiest one in the Caribbean. Throughout the city you can see many historical buildings that features Danish colonial architecture. Apart from all these the Skyride in this city offers you the incomparable view of the Caribbean. The Virgin island national park is the main attraction in the St. John Island. It occupies 60 percentage of the Island and surrounded by coral reefs and ocean. You can hike through the tropical rainforest of this national park. Suba diving and snorkeling are other tourist activities in the Virgin Island national park. Occupying an area of 42,803 square miles and with more than 4000 smaller islands, Cuba is the largest Island in the Caribbean. It is also the closest Caribbean Island to the United Sates, just 83 miles from Florida. The natural beauty of Cuba is renowned worldwide. This Caribbean Island is also known for its music, world class educational system, magnificent mountains and beautiful beaches. The protection of the natural environment is one of the main concerns of both Cuban government and the citizens. About 22 percentage of Cuban territory are protected areas. This diverse landscape of Cuba is also home some of rare species plants and animals. Thousands of species of plants and nearly 80% of all animals found in Cuba are endemic to its lands. Bee humming bird, Cuban crocodile, Cuban Solenodon, Cuban boa, Cuban robber frog and Cuban gar are some of amazing species unique to Cuba. Every year Cuba receives more than 3 million visitors. Cuba has pleasant, subtropical climate and 330 days of sunshine a year. So that Cuba is always perfect to visit. This Caribbean paradise has 300 spectacular beaches. Almost all Cuban beaches are clean and calm. You can enjoy a wide variety of recreational activities in these beaches. Just like its natural beauty, the art and music are the other important factors that make Cuba a must visit location in the Caribbean. It doesn’t matter where you are on this island, in clubs, bars or streets you can always enjoy different types of Cuban music. The predominant music form of Cuba is known as ‘Son’. It is a combination of African rhythms with classical Spanish guitar. St.Kittis and Nevis is a breathtakingly beautiful two-island country in the Southern Caribbean. Covering only an area of 261 square kilometers, it is also the 8th smallest country in the world. The St.Kittis and Nevis are separated by a 3.22 km long channel called as ‘the narrows’. Both these tropical islands are famed for beautiful mountains, beaches, volcanoes and historical ruins. St.Kittis is the larger among these two Caribbean islands. Once this Island was home to first British and French colonies. Considering the great historical significance of St.Kittis it is also called as ‘The mother colony of West Indies’. The mighty Brimstone hill fortress, designated by British army is the major tourist attraction of St.Kittis Island. It is a world heritage site and a well preserved historical fortification in the Caribbean. For Americans, the smaller Island Nevis is an important place in the Caribbean. Because it is the birthplace of Alexander Hamilton, a founding father of the United States. You can visit the Alexander Hamilton museum in this Island to know about the story of his life. Biking is the best way to experience Nevis Island. You can hire bikes from the island. Ride along the spectacular sandy beaches and hills to enjoy the full beauty of this Caribbean Island. The Island country of Curacao, located in the Southwestern Caribbean is the largest of Norwegian Antilles. It is 40 miles long and covers an area of 171.4 square miles. Curacao boasts a pleasant, mild temperature year round. It is actually the location of this Island, just below the hurricane belt (a part of the Atlantic Ocean) is the main reason behind its great weather. The beautiful, curvy beaches, stunning architecture, art and delicious foods of Curacao make it one of the finest tourist destinations in the Caribbean. Curacao Island is globally renowned for its colonial architecture and clean, narrow streets. The Willemstad, the capital city of Curacao boasts many vibrant buildings that show off the great history of the Island. The Dutch established the early settlement in this city back in the 17th century. The architecture of this city reflects Spanish, Dutch and Portuguese styles. Considering the historical and architectural importance the downtown of Willemstad has been recognized as a UNESCO world heritage site in 1997. The local arts of Curacao are very famous among international tourists. Throughout the Island you can enjoy beautiful sculptures and colorful paintings. There is also an art gallery in the capital city of Willemstad. Apart from the vibrant buildings and stunning arts there are also 38 spectacular, curvy beaches in Curacao. Majority of the beaches of Curacao is located in the Southern coast of the Island. These beaches are calm and beautiful. There are also a number of sandy beaches in Curacao which are known for both cleanliness and facilities. Aruba is a picturesque island located in the warm waters of the Southern Caribbean Sea. Unlike other Caribbean islands, Aruba has warm weather and sunny skies. Thus tourists from around the globe visits Aruba again and again. In addition to the near-perfect weather, Aruba Island has beautiful, white sandy beaches, reliable transportation and very friendly people. In fact, Aruba is one of constitutional country within the Kingdom of Netherlands. It is 25 miles long and covers an area of 75 square kilometers. The sandy beaches and warm temperature make Aruba a finest vacation spot in the Caribbean. The Arikok national park is another don’t miss spot in Aruba Island. There you can enjoy spectacular rock formations and a variety of wildlife. To find an affordable apartment or resort is also very easy in Aruba, because there is a variety of accommodations for you. The high rise resorts in Aruba not only best in services, but also offer you a breathtaking view of Caribbean beaches. Puerto Rico is a U.S territory located in the Northeastern Caribbean. Thus U.S citizens can visit this beautiful place without a passport. In fact, Puerto Rico an archipelago that include a group of larger and smaller islands. Puerto Rico has a near-perfect weather, 21-26 degree Celsius all year around. Thus, you don’t have to search for a perfect time to visit this Caribbean island. It always offers you pleasant, mild weather. As Puerto Rico an archipelago you have many beautiful islands to explore. The white sandy beaches of Puerto Rico renowned worldwide. 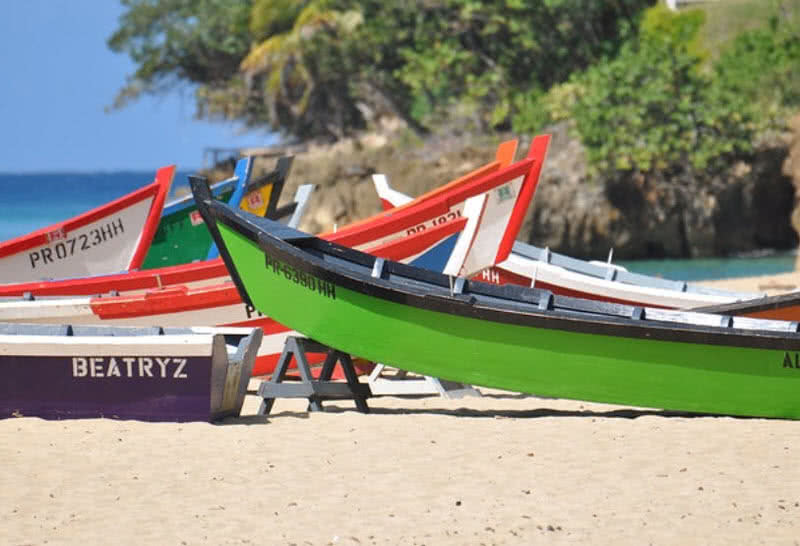 The beaches of Puerto Rico stretch for more than 270 miles. These beaches also perfect for sailing, surfing and snorkeling. The scenic Puerto Rico also home to EI Yunque National Forest, the only tropical rainforest within U.S territory. Each year EI Yunque forest get average rainfall of 200 inches. It is also home to 25 amazing waterfalls and unique wildlife. The streets of Puerto Rico are clean and paved with blue cobblestones. It makes easier to get around the Island by foot. You can also hire a bike or car. As you wander around the Island you can enjoy a wide variety of delicious foods. Puerto Rico is truly a paradise for food lovers. Jamaica is considered as the heart of the Caribbean, the land of rich culture, lush landscapes, beautiful beaches, reggae music and all-inclusive resorts. This heavenly tropical island in the Caribbean also boasts a near-perfect, mild climate year round with an average temperature of 27 degree Celsius. Is there anything happier than getting a warm welcome in a strange place? You never feel like an outsider when you arrive in Jamaica. Because the people of Jamaica are very friendly and they welcome the tourists with a warm heart. The music has always been the integral part of everyday life of Jamaican people. There are different forms of music in Jamaica, influenced by European and African heritage. Rastafari and Kumina are the most popular music forms of Jamaica. In Jamaica, it is not at all hard to find a resort that offers all facilities and entertainments as you expect. There are a numerous all-inclusive resorts across the islands. Thus you can choose the right one depending on your priorities. Jamaica is also home to many impressive beaches. Majority of beaches in the island are clean and calm. The seven mile beach is one of globally popular Jamaican beach. The silky white sand beach extends over seven miles in the backdrop of dramatic cliffs is truly breathtaking. The other beaches in Jamaica are also best spots for relaxation. All beaches offer stunning sunsets, recreational activities and delicious sea foods. Dominican Republic is the second largest country in the Caribbean. Generally it is a mountainous region and home to four highest peaks in the Caribbean. 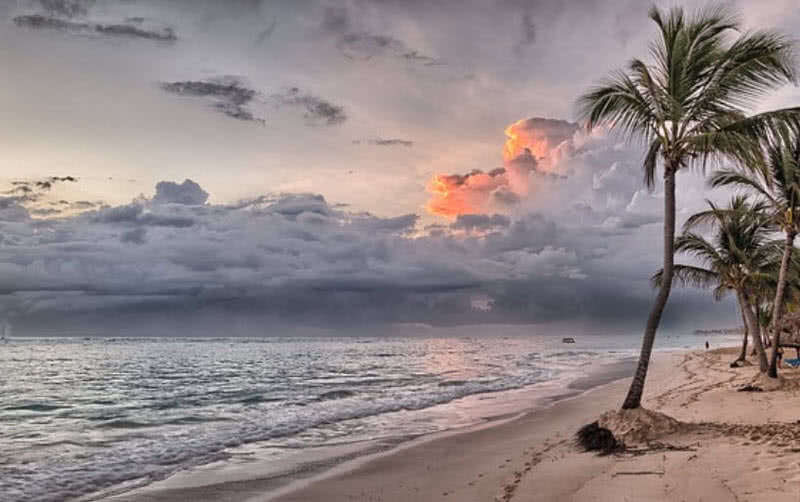 Throughout the year, the Dominican Republic boasts a fantastic, tropical weather with a little temperature variation. The average temperature on this Island varies between 25 and 28 degree Celsius. The Dominican Republic can be a perfect vacation spot for almost all types of travelers. Because it is a great Island with pleasant climate, crystal clear waters, spectacular beaches, stunning mountains and a thrilling history. Santo Domingo, the bustling capital city of the Dominican Republic is a don’t miss spot in the Island. The city has a great historical importance. It is one of the Earliest European settlements in the Caribbean. The Santo Domingo city was founded by the brother of great Bartolome Columbus, brother of Christopher Columbus in 1496. Considering the historical importance, UNESCO designated the ancient city of Santo Domingo as a world heritage site in 1990. This city also famed for having the first university, cathedral and hospital in the Americas. Even today, some of 15th century buildings remain intact in this city. Apart from stunning architecture, Santo Dominto city has amazing museums, cobblestone streets and great restaurants. The Dominican Republic will be heaven for the beach lovers. This Island is surrounded by nearly 250 miles of coastal line. The Dominican Republic beaches are also blessed with some of the clearest water in the Caribbean. Playa Boca Chica, Punta Cana and Cayo Levantado are some of the best beaches in the Dominican Republic. You can enjoy world-class scuba diving, snorkeling and diving in these beaches. Like Jamaica, the Dominican Republic is always been known for its music and dance. The best known form of music and dance in the country is known as ‘merengue’. It is a fusion of African and European musical elements. Dominican rock, Bachata and Palo are other popular form of music in Dominican Republic. St. Martin is a small Island paradise located in the Northeastern Caribbean. Since 1648, the French and Dutch people peacefully lived in this small Island side by side. But there is no physical boundaries or customs between the French and Dutch side. St. Martin is also the smallest inhabited island in the world, divided by two nations. St. Martin, the French part on the Northern part take over 60 percentage of the Island. 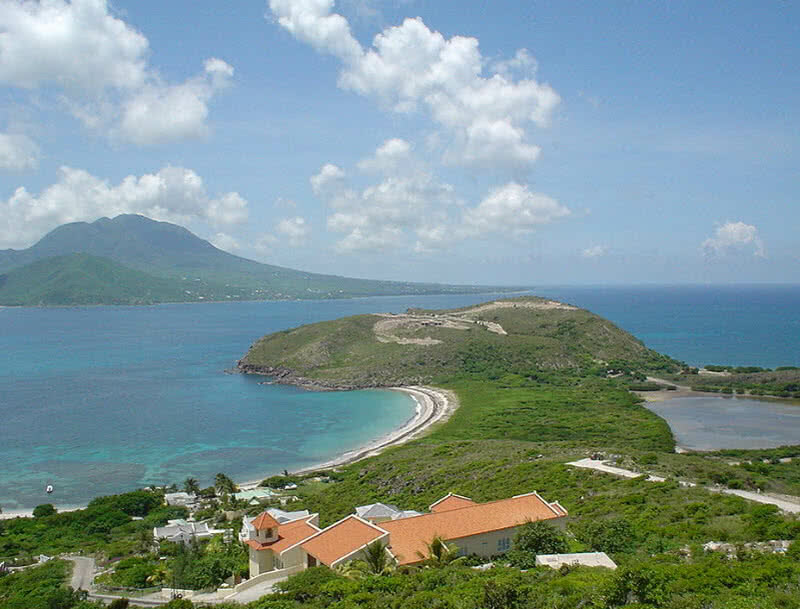 The remaining 40 percentage of the Island is encompasses by Sint Maarten, the Dutch side. Both sides of this Island boats serene beaches, world-class restaurants and shops. 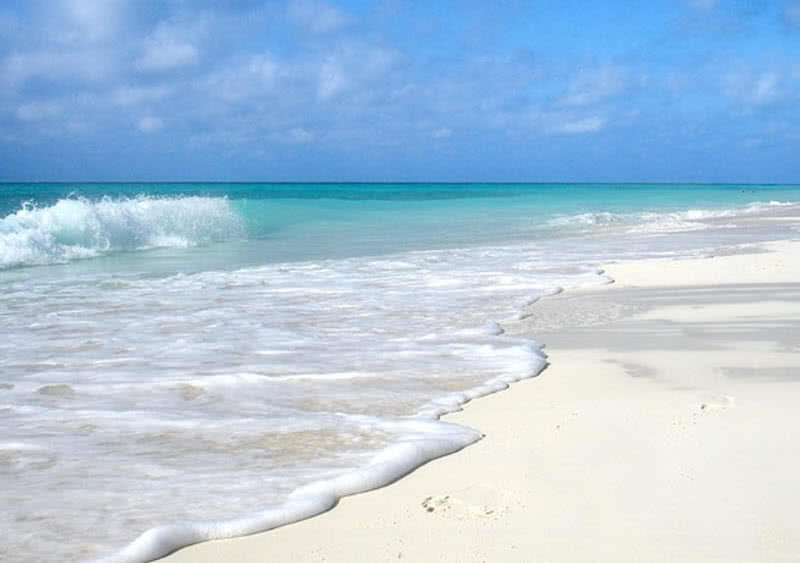 Lapped between the Atlantic Ocean and Caribbean Sea, the St. Martin Island has 37 beautiful beaches. The coastline of St. Martin are well maintained and quiet. As St. Martin is a small Island, a short walk is enough to reach the beaches. 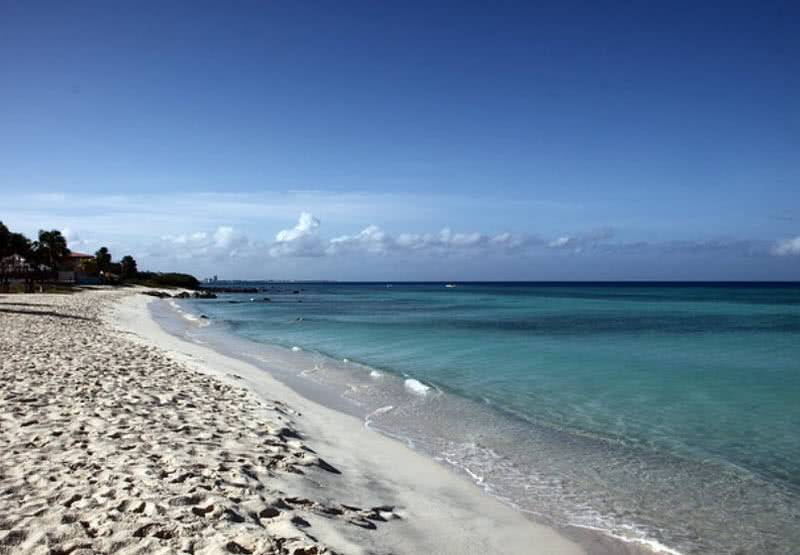 The St. Martin beaches are also among the top beaches in the Caribbean. The French side of the Island, St. Martin is famed for its top restaurants overlooking the Caribbean Sea. Duty-free shops are another great attraction in St. Martin. With custom duties and other indirect taxes the shops in St. Martin offer you unbeatable shopping experience for you. On another side of the Island, Sint Maarten, the Southern Dutch part boasts some of the best casinos and nightclubs in the Caribbean. In that way Sint Maarten offers more entertainments than the French part of the Island. Historically, Sint Maarten is an important region in the Island. You can get deep details about the Sint Maarten from the museum located in its capital city of Philipsburg. The museums houses many ancient objects and old photos. Barbados is a perfect destination for those who seeking complete relaxation in a tropical setting. This coral Island, located in the eastern Caribbean Sea offers almost everything that the tourists expecting to – fantastic climate, blissful beaches, smashing nightlife, friendly local people, nice restaurants and delicious food. The Barbados Island is originated as a result of oceanic sediments and has a million years old limestone foundation. Thus the Island has many unique geological features. The continuous action of waves and rainwater also result in the formation of caves and underwater lakes in the limestone rocks of the island. Harrison cave is the most beautiful geological feature of Barbados. It is truly a miracle of nature. You can see a network of caves with fantastic stalagmites and stalactites created over thousands of years. The crystal clear waters flow through the cave system also creature beautiful waterfalls and pools. You can travel through the amazing cave system using the electric tram service. There are also spectacular coral reefs around the Barbados Island. So that you can enjoy amazing snorkeling and scuba diving like nowhere else in the Caribbean. It offers you a magnificent view of large coral heads, barrel sponges and underwater marine life. Barbados boasts clear skies with fantastic, warm temperature year round. So you don’t have to look for a specific season to visit this Caribbean paradise. The local people are very friendly and helpful. It will surely make your trip easier. 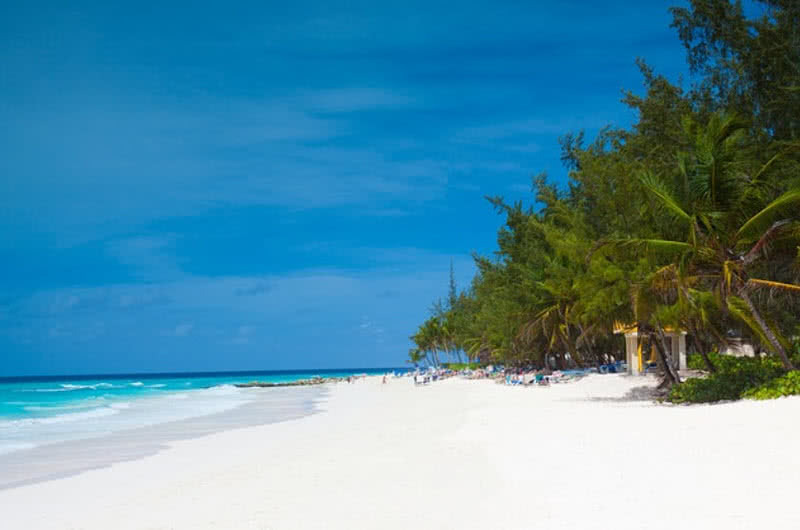 Barbados is also home to many spectacular beaches. Majority of beaches are well-maintained and clean. 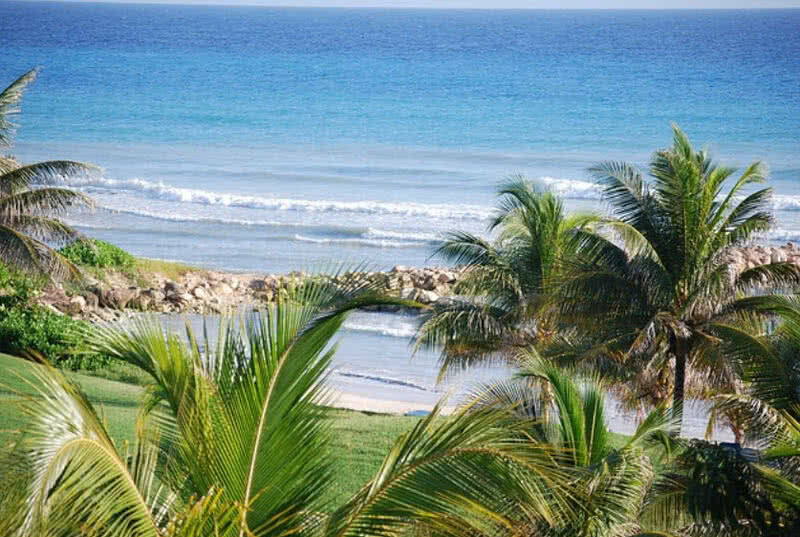 The west coast of the Barbados is renowned for clear, calm waters and golden sands. It is a best spot in the Island for relaxation and other activities like catamaran cruises, kayaking, swimming and snorkeling. For accommodation, you can get nice resorts overlooking the Caribbean Sea and Atlantic Ocean. In Barbados, it is not at all hard to find out resorts depending your choices. The spectacular clubs, bars and restaurants in Barbados will also offer you a great nightlife.